You have many chooses when it comes to vitamins for thicker hair, but CatalaseNow is one of the only hair thickening vitamins that features the catalase enzyme, which helps break down hydrogen peroxide, a bleaching agent, that can make your hair appear less young and vibrant. CatalaseNow has created vitamins for your hair that is specifically designed to help hair growth and thickness. Our vitamins for thicker hair are fortified with all natural ingredients that help support great looking hair from the inside out. Instead of using unhealthy toxic topical products that merely hide thinning and brittle hair, get to the source of the problem with CatalaseNow by feeding your hair healthy minerals—it’s vitamins for hair thickening and more vibrant lustrous locks. While our vitamins for hair growth and thickness does not happen overnight, our proprietary blend of minerals and vitamins will support better looking hair the longer you take them. Based on our testimonials, you should begin to see better looking hair between the 10th and 12th week of our recommended initial three month regime program. If you have done your research, you will know that certain vitamins make hair thicker, and CatalaseNow is one of those vitamin products to support fuller and more vibrant hair; it’s all based on including the highest quality ingredients into our product-- based on a careful selection of select ingredients, we can confidently say we have the best vitamins for thicker hair. But do not take our word for it, read What The Press Says and learn how each of our ingredients is specifically selected for supporting great looking hair. Once you have read about each of the ingredients and reviewed our testimonials, start your risk free limited time special 3 bottle, 3 month regime program now to begin looking as young as you feel. 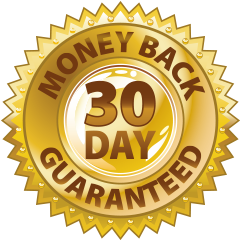 We are so confident that our vitamins for hair thickness will work that if it does not, get a complete refund with our Money Back Guarantee. No questions. No hassle. No Kidding. So what do you have to loose other than getting our Super Premium Vitamins to grow thicker hair to look your best.